The 2 inch square lens slides into its 2 x 4 inches protective case. When opened, the light stays on. 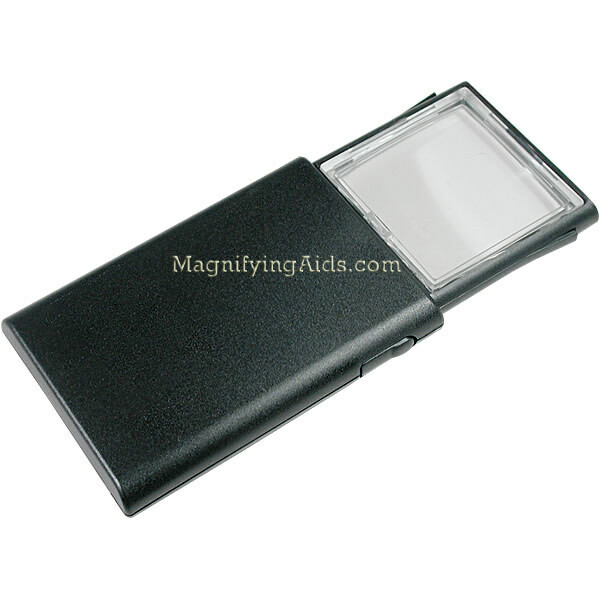 Perfect magnifier to keep in one's shirt pocket or purse for use in restaurants, theaters, supermarkets or classrooms.